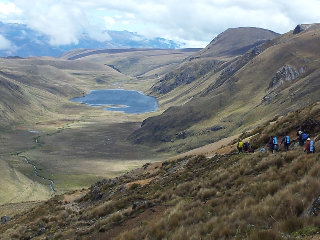 Just finished a 3 day trek on a tiny section of the old Inca trail that ran between Quito in Ecuador and Cusco in Peru (and beyond). 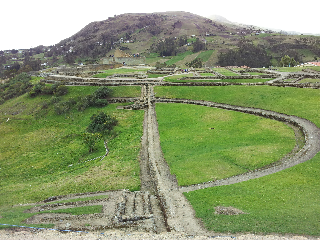 This section was in Ecuador and ended at Ingapirca - the most intact Inca ruins in Ecuador. 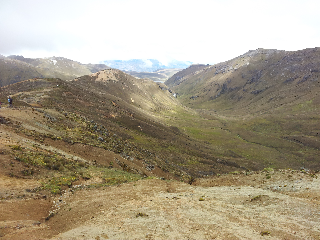 The trail was used for quickly sending messages by foot runners between the north and the south of the Incan empire. It was also used to transport goods. Not much left of the actual paved trail because the surface of stones was pilfered by locals for building purposes. We did see some of the walls and foundations of the tambos (resting places with supplies and food) which were built about every 3 kms. 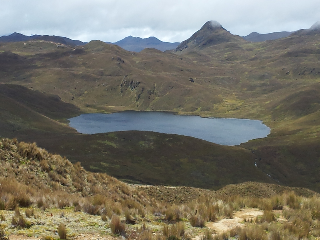 The trek was through beautiful high altitude Paramo (hardy grasslands and moss bogs) at 3700 to 4400 mts. We saw stunning high altitude lakes with interesting histories of battles fought nearby - 2 Indian clans fought at the "lake of blood". We saw the mass burial site of the soldiers who died near a high pass fighting a battle for independence from the Spaniards - led by Antonio Sucre, in the 1820's. 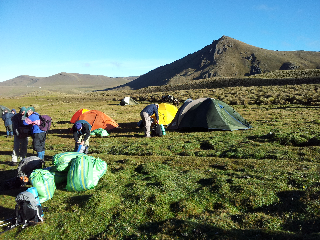 The trail has a varied and long history. Our guide was an indigenous Qichua man named Manuel who knew much about his country and was interesting to listen to.